Four athletes feature on the shortlist for Scottish Athletics’ athlete of the year award, with the winner to be named at the governing body’s annual awards evening on Saturday (October 31). Eilidh Child, Laura Muir, Lynsey Sharp and Robbie Simpson are the nominees for the main title, with director of coaching Rodger Harkins explaining how compiling the shortlists had been one of the hardest selection tasks he has faced in more than two decades in the sport. “I’ve been involved in the sport for a number of years and while this was the first time I’ve had a say in ‘athlete of the year’ I have experience of sitting on selection panels many times. As I say, this one was tough,” said Harkins. “That’s down to the quality of performances by Scottish athletes at various levels across the disciplines and in various age-group bands. I suspect we may have quite a few athletes disappointed not to make shortlists but, again, I think that reflects on the quality overall. Child, who has won the athlete of the year award four times in the past six years, formed part of GB’s bronze medal-winning 4x400m relay teams at the IAAF World Championships in Beijing and the World Relays in Nassau and finished sixth in the 400m hurdles in China. Muir finished fifth in the world 1500m final, went second on the UK all-time list behind only Kelly Holmes with her Scottish record of 3:58.66 in Monaco and secured victory at the Oslo Diamond League, while Sharp ran 1:57.71 to break the Scottish 800m record and go to third on the UK all-time list. Simpson claimed both individual and team bronze medals at the World Mountain Running Championships. The sell-out awards evening, which expects around 330 guests and welcomes Steve Cram as a guest of honour, will have Bryan Burnett, the BBC Scotland presenter and running enthusiast, as host. As well as announcing the winner of the senior athlete of the year award, the winners of the three age-group categories will be named. The para-athlete of the year award has this year been postponed to be presented after the IPC Athletics World Championships taking place in Doha. 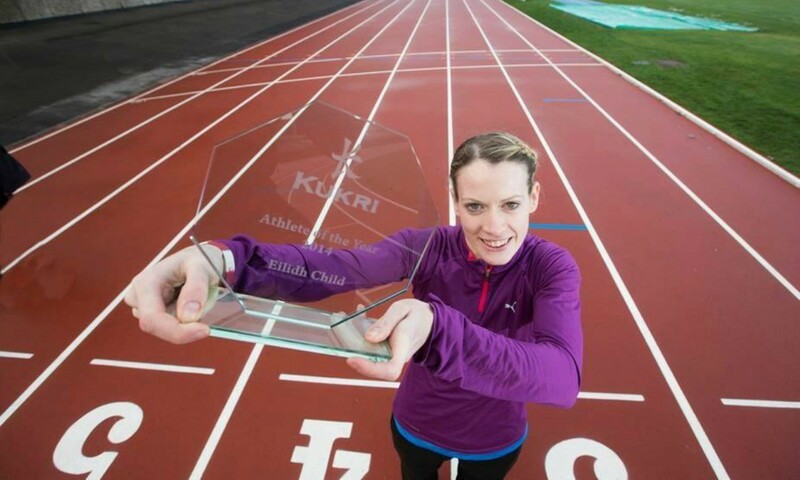 Scottish Athletics will also be announcing award winners among their clubs, officials and volunteers as well as three coach of the year categories.